In this article, a new UML extension for the specification of hybrid systems, where observables may consist of both discrete and time-continuous parameters, is presented. Whereas hybrid modeling constructs are not available in standard UML, several specification formalisms for this type of system have been elaborated and discussed, among them the CHARON language of Alur et al. which possesses already several attractive features for modeling embedded real-time systems with hybrid characteristics. Adopting this as a basis, the profile inherits formal semantics based on CHARON, so it offers the possibility for formal reasoning about hybrid UML specifications. Conversely, the CHARON framework is associated with a new syntactic representation within the UML 2.0 world, allowing to develop hybrid specifications with arbitrary CASE tools supporting UML 2.0 and its profiling mechanism. The “look-and-feel” of the profile is illustrated by means of a case study of an embedded system controlling the cabin illumination in an aircraft. The benefits and weaknesses of the constructed hybrid UML profile are discussed, resulting in feed-back for the improvement of both UML 2.0 and the CHARON formalism. 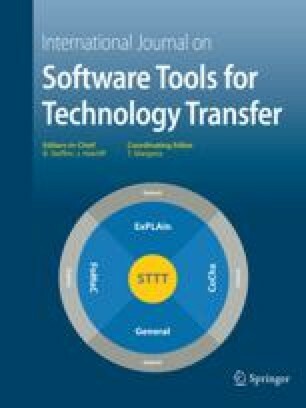 The work presented in this article has been investigated by the authors in the context of the HYBRIS (Efficient Specification of Hybrid Systems) project supported by the Deutsche Forschungsgemeinschaft DFG as part of the priority programme on Software Specification - Integration of Software Specification Techniques for Applications in Engineering.